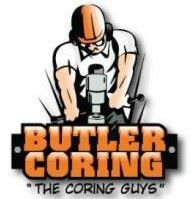 Butler Coring, Inc.’s goal is to provide our customers with the highest quality of concrete drilling & sawing services at competitive prices. We are committed to being the preferred concrete drilling & sawing contractor in the Midwest by keeping high quality customer service as our primary goal. Butler Coring’s staff and work force has over (500) years of combined experience in the industry. Our service area includes but is not limited to the Chicago, Southern Illinois, Milwaukee, Southern Wisconsin, Northern Indiana, Mpls./St. Paul and the Rochester, Minnesota areas. I perform work in very sensitive environments and Butler Coring helps to coordinate my floor removal and replacement work. They GPR scan and mark any utilities. Their electric saw crews saw and remove my concrete very cleanly and efficiently. Their highly talented cement finishers complete the work with exceptional skill and expertise. I would highly recommend Butler Coring.